Elizabeth Gurney Fry was born on May 21, 1790 in Norwich England, the third child of a Quaker family. Her father, John Gurney was a very successful banker and businessman and was partner in the Gurney Bank. He was also the owner of a wool stapling and spinning factory. Her mother, Catherine Gurney, was a member of the famous Barclay family who founded the Barclay’s Bank. Catherine had a profound influence upon Elizabeth’s life, and she was very involved in charitable work in the poor districts of the town. Elizbeth would often accompany her on these visits, and these visits would have a significant impact on her life that would come in to play later in her life. However, her mother died when she was only 12 years old and being one of the oldest girls in the family, had to share in the responsibility of raising and caring for the rest of her siblings. She also went by the name of “Betsy” and was often times moody, tormented ith fears, and labeled as stupid among her siblings for being slow to learn. Elizabeth was converted to Christ and upon her conversion experience she said, “Suddenly my mind felt clothed with light, as with a garment and I felt silenced before God; I cried with the heavenly feeling of humility and repentance.” She was known as a “plain friend” in which she adhered to her strict Quaker traditions of dressing plainly, not dance, and no singing. When Elizabeth was 18, she heard a message by a Quaker named William Savery, who spoke on the importance of dealing with issues such as poverty and injustice. Shortly after she was inspired to be involved in helping with local charities and her local Sunday School, in which she taught children how to read. She often would go into the slums of London to help poverty-stricken children, she would collect old clothes for the poor, and would often visit those who were sick in the neighborhood. In 1800 when Elizabeth was 20 years old she met Joseph Fry, who was a banker and a fellow Quaker. They were married on August 18, 1800 and they moved to London from 1809-1829. They would have eleven children together, five sons and six daughters. She became well known in her Quaker society but was often criticized for her influential role, outside the home. This was during a time when it was highly unusual for a woman to be involved outside the home and was often criticized for neglecting her duties as a wife and a mother. Regardless she was admired by many both among the poor and the wealthy. She was much appreciated by Queen Victoria and had even received visits from the King of Prussia for her prison reforms. In 1817, Elizabeth had founded the Association for the Reformation of the Female Prisoners in Newgate which would eventually become known as the British Ladies’ Society for Promoting the Reformation of Female Prisoners. It was one of the first nationwide women’s organizations in Britain. The purpose for the development of the organization was: “to provide for he clothing, the instruction, and the employment of these females, to introduce them to knowledge of the holy scriptures, and to form in them as much as lies in our power, those habits of order, sobriety, and industry which may render them docile and perceptible whilst in prison, and respectable when they leave it.” As word of her work in prison reform got around, she eventually traveled to visit other prisons in Scotland and Northern England. Elizabeth’s brother in law, Thomas Boxton, was elected into Parliament for Weymouth, England, and promoted Elizabeth’s work among those in Parliament. In 1818 she was called upon to testify on the conditions that were among the British prisons at a House of Commons meeting, and she became the first woman to present testimony in Parliament. In 1819-1820 Elizabeth began to establish a “nightly shelter” for people after seeing the body of a young boy who had died on the street. In 1824, Elizabeth had instituted the Brighton District Visiting Society, in which volunteers were arranged to visit the home of the poor to offer an education. In 1825 she also started a “Servant’s Society” and in 1835 she developed a “District Visiting Society,” in which emphasized giving to the poor and to beggars. In 1840 she opened a training school for nurses and had a major impact on Florence Nightingale who served the wounded soldiers in the Crimean War. In 1828 the Fry family went bankrupt and her brother had to step in and help the family. So impacting was her life that in 2002, her image was depicted on the Bank of England five-pound note. In 1914, a marble statue of Elizabeth Fry was erected inside the Old Bailey in London, on the site of the Newgate Prison where her prison ministry had begun. The Canadian Association of Elizabeth Fry Societies continues to this day to advocate for women who are in the criminal justice system. They also celebrate the National Elizabeth Fry Week in Canada in the month of May. The Elizabeth Fry Society of Greater Vancouver continues to help women who are in conflict with the law to provide housing, support, and counseling for women and children to help improve their lives and build healthy and safe communities. 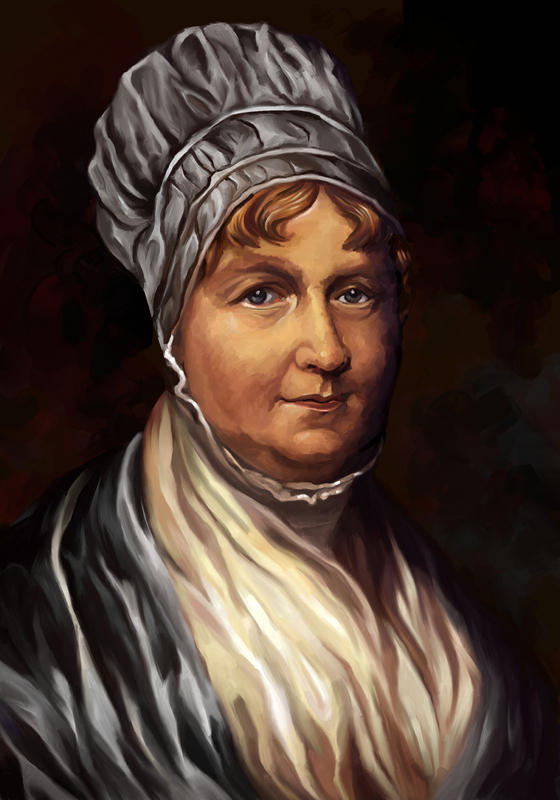 Elizabeth Fry committed her life to helping and serving those who could not help themselves and those steeped in the depravity of their sin. Yet Elizabeth did not do any of these things by the power of her own strength but by the supernatural power of God working through her. Elizabeth, one said, “Nothing short of the Holy Spirit can really help forward the cause of righteousness on earth.” After six years of Elizabeth’s work among the prison, a congressman from America came to visit Elizabeth and her work in Newgate. After his experience he reported to a friend, “I saw the greatest curiosity in London-aye in England too-compared with which Westminster Abbey, The Tower, Somerset House, the British Museum, nay Parliament itself, sink into utter insignificance. I have seen, sir, Elizabeth Fry, in Newgate, and I have witnessed there, sir, miraculous effects of true Christianity upon the most depraved of human beings.” Elizabeth suffered a stroke and died in Ramsgate, England on October 12, 1845. It was said that over one thousand people stood in silence as her body was buried. The funeral procession from her house to Barking was over half a mile long.